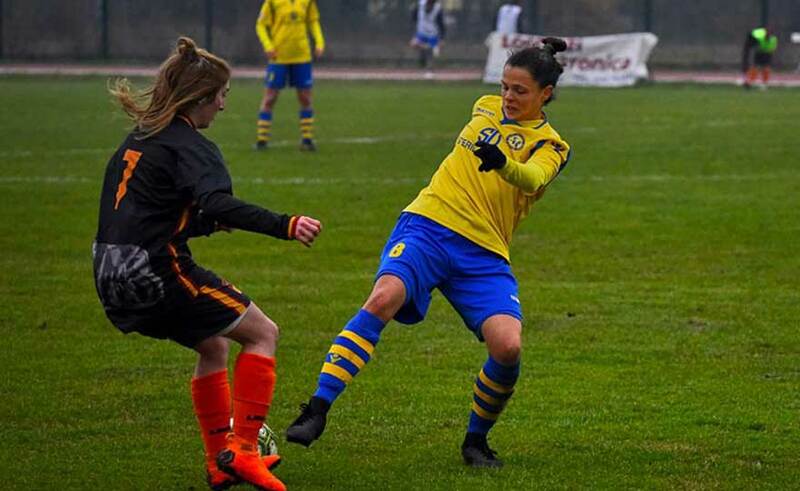 Silvia Carraro, the "warrior" of the Gialloblù midfield, has signed a double, the first seasonal goals, with which she allowed the team to beat Empoli away, so as to redeem the home defeat in the first round of the season. With Empoli was the match of the seasonal turn? «The match with Empoli was important in many ways. We had to give a concrete signal of our work after a rather opaque performance. It is not the game of the turn but it was the game that allowed us to regain confidence in our vehicles and to remain attached to the train of the teams that lead the ranking. Surely, since it was the first return, we have a long way to go. " "We were good at the mental approach in the first half. We are compact, united and determined to want to show that we wanted to play our game and make a result. We have taken advantage of the opportunities we have had and we must take credit for this. But we have to improve the management phase of the result and not possession, as happened in the second half when we suffered a bit too much for their recovery and we were not too sure. Despite this our character is to always react ». What did you feel at the moment of a shotgun in such an important match? «I could never score during the first round. Scoring is always very nice, especially for those like me who are not very used to doing so. I hope to be more prolific in the second round. Maybe I opened a career as a pure attacker, who knows (laughs, ed). Joking aside, if I can be on the scorecard, I'm glad. " If we exclude the match in which you had to disqualify you have always been present in the field like few other players. Can we say that Carraro is a safety for the team? "Yes, it's true, I've played almost always. I'm honest, taking the field on Sunday is never something obvious; it's an opportunity that you earn by working during the week. So I'm trying to work a lot on the shortcomings and gaps I have in order to always be a point of reference for the coach and the team. I always try to improve myself. I hope to be even more present and always growing ». How do you rate the first round and what do you expect from the return leg, especially given a start like this? "We did not start a roaring championship. The defeat with Empoli at home, the draws with Cittadella and Genoa, all things that seemed to herald a gray championship start. Then, after the victory with Cesena, we started an important series of victories. A bit like last year there was a beginning dancer who then led to a growing championship. I expect it to be so this year too, with a more determined start of the group and more character, which can lead us to make more points than the first leg. " Compared to the defeat against Empoli in the home game, what differences did you notice? "We were more uncertain, we were in the first game and we had to immediately integrate with new companions, with some new grafting in short, and we had to integrate the tactical indications of the coaches. So surely it was a misstep that we have not repeated. In the return we have been more decisive, concrete and secure in our means ".